Modern soulstress Denai Moore is heading for Leeds as she tours new LP ‘We Used to Bloom’. The British-Jamaican singer rose to prominence as a guest vocalist on SBTRKT’s 2014 album ‘Wonder Where We Land’ and is branching out as a fully fledged star herself these days. Three years on from the SBTRKT guest spot Denai is out touring a really well received second solo record with a headline tour of her own that will call in at the Headrow House in Leeds on Tuesday, October 3. ‘We Used To Bloom’, out through Because Music, is a declaration of growth, a break-up letter to her demons and a love letter to the liberated self. It features acclaimed singles ‘Trickle’ and ‘Does It Get Easier?’ plus the recently unveiled album track ‘All The Way’, featuring Kwabs. 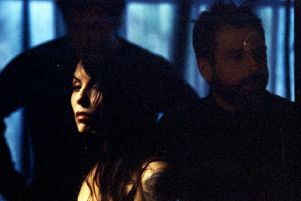 The album also features a sumptuous cover of Elliott Smith’s Twilight within which Denai reveals a new depth to the song, through spacious production and the fragile strength of her voice. The new album’s title, she says, is a nod to the feeling of self-growth.